Recently I mentioned I would like to host a little mail swap. As a teenager I wrote regularly to my penpal. We often sent each other stickers and song lyrics, posters of Ralph Macchio, Kirk Cameron and book recommendations. We poured out our hearts on pretty notepaper and it was so much fun sending and receiving mail. Despite losing touch as we moved through life, I still have every single letter and I still make her mother's cauliflower soup-a recipe she once sent me. Inspired by these wonderful letters, I would like to host a little mail swap. This will be a one off swap for those who simply love sending and receiving mail.You will need to fill an A5 envelope with happy mail. You might like to include a recipe, a postcard, a favourite quote, a photograph of something you love or something in your town or yourself!!! movie or book recommendations, stationary items such as cards and stickers, can be handmade or not. And importantly, a handwritten letter. These are just a few things that sprung to mind. You can be as creative-or not as you like. But mostly have fun with it! Have fun putting it together and have fun receiving your own little piece of happy mail. If this is something you might like to participate in please email me at grantleaingram@hotmail.com with 'for the love of happy mail' in the subject line. I'm in baby! I will try to remember to ask Tassy tomorrow if she's interested too. I had a German penpal from when I was in Year 5 for hmmm maybe 7 years. I still remember her name and address by heart and still have all her letters and photos. We sent each other dried flowers (jacarandas from me of course) and coins. I remember one letter from her... "Every day I check my mail box and still there is no letter from you. Why do you not write to me?" Oops - obviously I wasn't the best penfriend. I have tried to track her down with the wonderful internet but had no luck. It was a wonderful experience being in touch with a girl my own age on the other side of the world. Who lived in snow! Anyways... this will be fun! Count me in please. I'll start putting together a few things now. Id love to join in if its not too late. 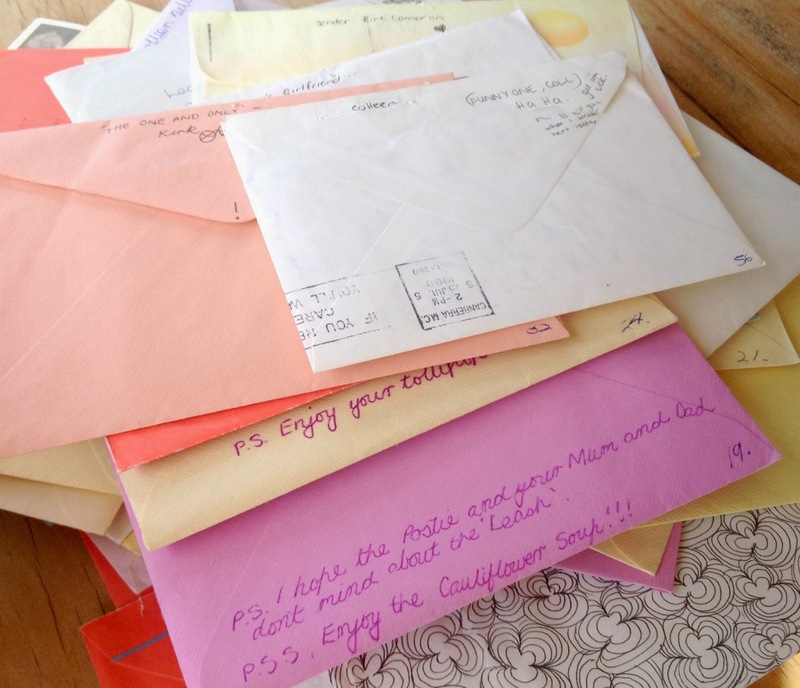 I had a dear friend who moved to London in her teens and lives there still (as far as I know).....for many years we swapped mail until we lost contact...I still have all of her letters.. they are so special. I'd love to do the happy mail swap if its still open. Its a great idea and there's nothing like a nice note in the mailbox after a long day! I'll email you. Oh I wish I had have seen this in time. I'm a snail mail addict and have penfriends all over the world. I hope you had a lot of fun swapping and posting.